A 59-year-old man has been hospitalised with serious head injuries after an attack at a Blackpool hotel. Police said they were called at around 5.50am on Friday (February 8) to reports of an assault at Trades Hotel in Lord Street, Blackpool. A 59-year-old man was attacked by four men outside the Trades Hotel in Lord Street, Blackpool at 5.50am on Friday (February 8). A 59-year-old man had been attacked inside the hotel by four men who had stolen two mobile phones before fleeing the scene. The victim suffered serious head and facial injuries and was taken to Blackpool Victoria Hospital for treatment. 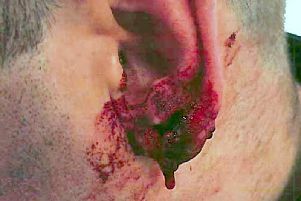 Following investigation, police later arrested three men in connection with the assault. Ryan Sutherland, 23, of Hesketh Avenue, Blackpool and Anthony Emery, 21, of Chepstow Road, Blackpool, were charged with robbery. Both were due to appear at Blackpool Magistrates Court today (Monday, February 11). A 19-year-old man from Blackpool was also arrested on suspicion of robbery and bailed to March 3. A fourth suspect is being sought.